Located in a residential area in the foothills of Mount Bukhansan, the Gana Art Center is one of the largest exhibition spaces in South Korea. The rotating exhibitions held here highlight modern, contemporary, and impressionist art by a variety of established and emerging artists from Korea and around the world. Unless they’re immersed in the world of contemporary art, most travelers miss this excellent art museum. If you’d like to know more about the contemporary art scene in South Korea—and the artists who are shaping it—consider taking a contemporary art–themed tour, which typically stops at the Gana Art Center as well as the Leeum Samsung Museum of Art (a series of three buildings, each an architectural treasure in its own right). The Gana Art Center is a hidden gem for art and architecture lovers. Exhibits at the museum typically last for three to four weeks. Facilities at the gallery include a restaurant, gift shop, and cultural center. The easiest way to reach the Gana Art Center is to take Seoul Subway line 3 to Gyeongbokgung Station and leave through exit 3. From there, transfer to bus 1020 or 1711 and get off at the Lotte Apartments. 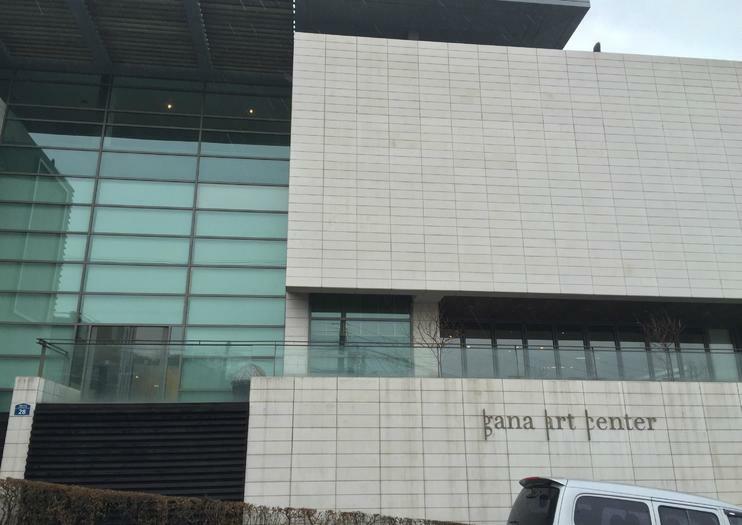 The Gana Art Center is open daily from 10am to 7pm. Since the gallery is rarely crowded, it’s a good option on weekends during high season, or as an indoor alternative during poor weather. Those with an appreciation for modern architecture might recognize the sleek cement-and-glass building that houses the Gana Art Center. It was designed by French architect Jean-Michel Wilmotte, who also worked on Incheon International Airport.